We hear a good love story (did you read Alisha and Sumeet’s tale here?) and sadly we wrap up another gorgeous Indian wedding. 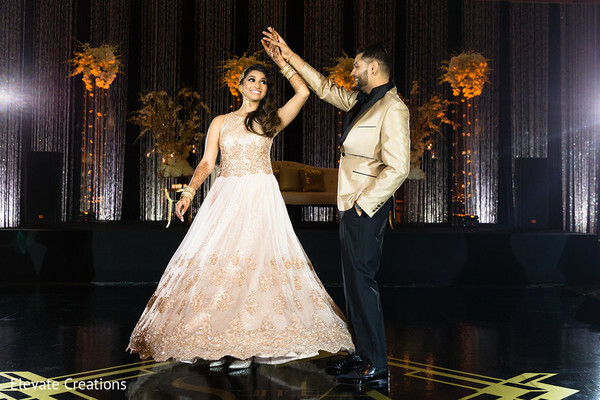 The bride looked dazzling for all of her events but it was a sweeping, champagne anarkali that truly stole the show. Blended with the perfect classical hairdo by Glamour Hair, Makeup & Bridal and mehndi by Nikki of Beauty you Deserve; this Maharani was ready for her party! 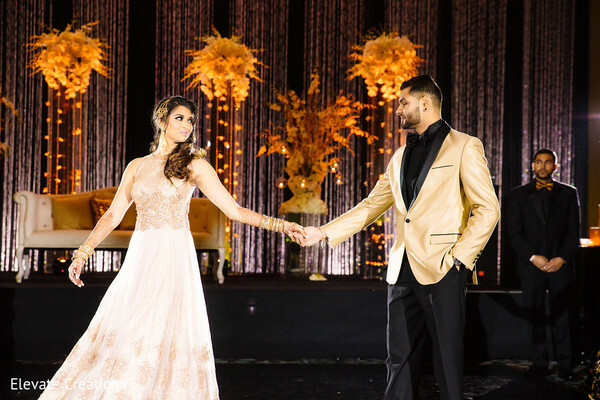 The reception party took a page from F. Scott Fitzgerald’s masterpiece and interwove blacks and gold for the ultimate, classy touch. 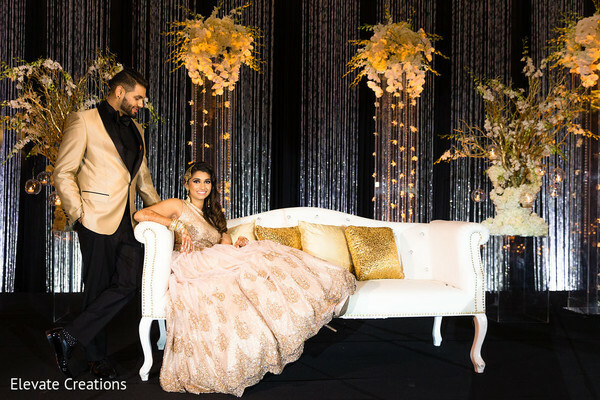 Ragini of Weddings InStyle dazzled the Grand Hyatt Atlanta in Buckhead with metallic accents and geometric details that took guests breaths away. 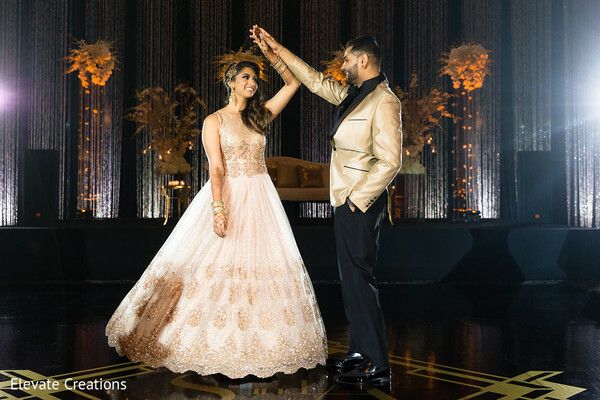 Family and friends dined on delectable cuisine from Mast Masala Catering before hitting the dance floor with a perfectly curated playlist by Indaglow Productions. Get lost in all the love, laughter and memories captured by Elevate Creations by heading into our gallery. That’s all for today! See you lovebirds tomorrow. 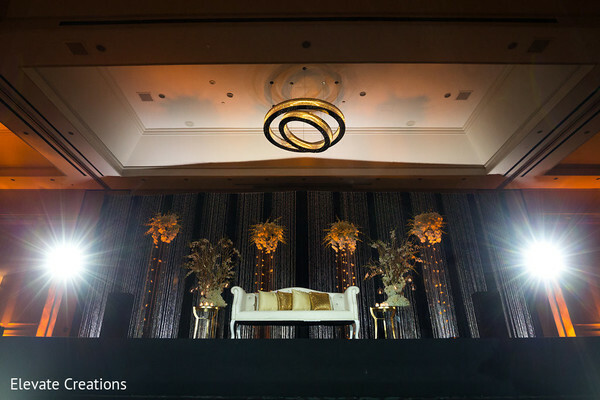 Weddings InStyle, Envi Event Planning and Gunn Glamour Hair, Makeup, & Bridal are members of the Platinum Guide. Love what you see? Explore their portfolios. Please don't promote Elevate Creations. Stephen Renney, the owner has taken money from so many Indian families. He has not provided photos, videos, and albums. He got paid and then apparently fled the country.